Winning without the need to get things for a job, or indeed a job! A total of 2.8 days. 001 Member ID is 08489449, ninjadwarf-------------------- 12:16:44 ___ 100 posts with average 07.37 minutes, 2 day increase 10.43h. 002 Member ID is 00147175, Captain Avatar---------------- 10:00:46 ___ 52 posts with average 11.55 minutes, 2 day increase 03.67h. 003 Member ID is 00007119, John Clark-------------------- 5:40:11 ___ 40 posts with average 08.50 minutes, 2 day increase 04.77h. 004 Member ID is 01112853, Dan (Burr) Michel------------- 5:32:53 ___ 42 posts with average 07.92 minutes, 2 day increase 04.33h. 005 Member ID is 07815523, Celtic Wolf------------------- 5:13:02 ___ 69 posts with average 04.53 minutes, 2 day increase 03.85h. 006 Member ID is 03134329, NeoAmsterdam------------------ 4:50:25 ___ 26 posts with average 11.17 minutes, 2 day increase 04.67h. 007 Member ID is 00293549, KB7RZF------------------------ 2:40:40 ___ 19 posts with average 08.45 minutes, 2 day increase 01.92h. 008 Member ID is 00322107, Misfit------------------------ 2:32:48 ___ 21 posts with average 07.27 minutes, 2 day increase 02.06h. 009 Member ID is 00055250, Screbilde--------------------- 2:13:33 ___ 17 posts with average 07.85 minutes, 2 day increase 01.75h. 010 Member ID is 08363397, TimeLord04-------------------- 2:04:53 ___ 15 posts with average 08.32 minutes, 2 day increase 01.38h. 011 Member ID is 08355887, Dune_Finkleberry-------------- 1:54:18 ___ 14 posts with average 08.15 minutes, 2 day increase 00.38h. 012 Member ID is 00259585, nobody------------------------ 1:39:13 ___ 58 posts with average 01.70 minutes, 2 day increase 01.65h. 013 Member ID is 00009826, Mike-------------------------- 1:33:35 ___ 9 posts with average 10.38 minutes, 2 day increase 01.31h. 014 Member ID is 00012569, RichaG------------------------ 1:25:12 ___ 10 posts with average 08.52 minutes, 2 day increase 00.65h. 015 Member ID is 08206040, Monday------------------------ 1:18:54 ___ 23 posts with average 03.42 minutes, 2 day increase 01.07h. 016 Member ID is 00002575, mikey------------------------- 1:06:03 ___ 9 posts with average 07.33 minutes, 2 day increase 01.10h. 017 Member ID is 08469899, ice--------------------------- 0:51:32 ___ 8 posts with average 06.43 minutes. 018 Member ID is 07780105, Fat B------------------------- 0:39:42 ___ 2 posts with average 19.85 minutes, 2 day increase 00.66h. 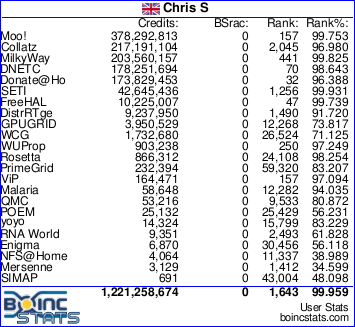 019 Member ID is 00107579, Chris S----------------------- 0:35:33 ___ 3 posts with average 11.85 minutes, 2 day increase 00.59h. 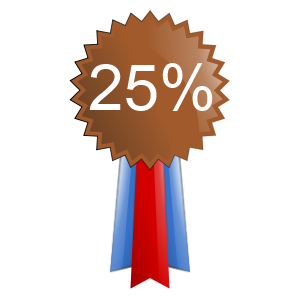 020 Member ID is 08508470, BODLEY------------------------ 0:33:39 ___ 5 posts with average 06.72 minutes, 2 day increase 00.07h. 021 Member ID is 00180313, SuperBuZZ--------------------- 0:31:11 ___ 11 posts with average 02.83 minutes, 2 day increase 00.52h. 022 Member ID is 08511939, MacAdder---------------------- 0:17:56 ___ 1 post in 17.93 minutes, 2 day increase 00.30h. 023 Member ID is 08194118, Iggy-------------------------- 0:13:35 ___ 3 posts with average 04.52 minutes, 2 day increase 00.11h. 024 Member ID is 08428716, Labbie------------------------ 0:12:34 ___ 1 post in 12.57 minutes, 2 day increase 00.21h. 025 Member ID is 00257493, Chas Woodhams----------------- 0:06:29 ___ 2 posts with average 03.23 minutes, 2 day increase 00.09h. 026 Member ID is 08407565, Claudette--------------------- 0:02:10 ___ 1 post in 02.17 minutes, 2 day increase 00.04h. 027 Member ID is 00031411, The Gas Giant----------------- 0:00:59 ___ 1 post in 00.98 minutes, 2 day increase 00.02h. Below are the lines with the fine print! There are no guarantees. I am not responsible for any errors. If there are errors blame Misfit even though he/she has nothing to do with any errors or stats. 8th place? I've been robbed! only two hours more than CA? he robbed me! I need 9 more minutes to pass Mr. 911. Message 477501 - Posted: 9 Dec 2006, 19:34:36 UTC - in response to Message 477496. Message 477505 - Posted: 9 Dec 2006, 19:37:31 UTC - in response to Message 477504. Message 477506 - Posted: 9 Dec 2006, 19:38:26 UTC - in response to Message 477505. Message 477509 - Posted: 9 Dec 2006, 19:39:59 UTC - in response to Message 477506. Message 477511 - Posted: 9 Dec 2006, 19:41:46 UTC - in response to Message 477509. Message 477517 - Posted: 9 Dec 2006, 19:48:50 UTC - in response to Message 477511. Message 477518 - Posted: 9 Dec 2006, 19:52:16 UTC - in response to Message 477517. Message 477522 - Posted: 9 Dec 2006, 19:58:06 UTC - in response to Message 477518. Message 477524 - Posted: 9 Dec 2006, 19:59:19 UTC - in response to Message 477522. Message 477526 - Posted: 9 Dec 2006, 20:02:22 UTC - in response to Message 477522. Message 477529 - Posted: 9 Dec 2006, 20:05:01 UTC - in response to Message 477526. Message 477530 - Posted: 9 Dec 2006, 20:06:07 UTC - in response to Message 477526.